So last night I made the Italian soup with mince and pasta, and I had the other half of the kilo of mince and the other half of the pasta left. Well not to be outdone I subjected the family to mince and pasta again, this time with a Mini Meatball Pasta Bake. I got the idea from Ree Drummond (Pioneer Woman) but I used my own spice blends in both the meatballs and the sauce, just following her method. 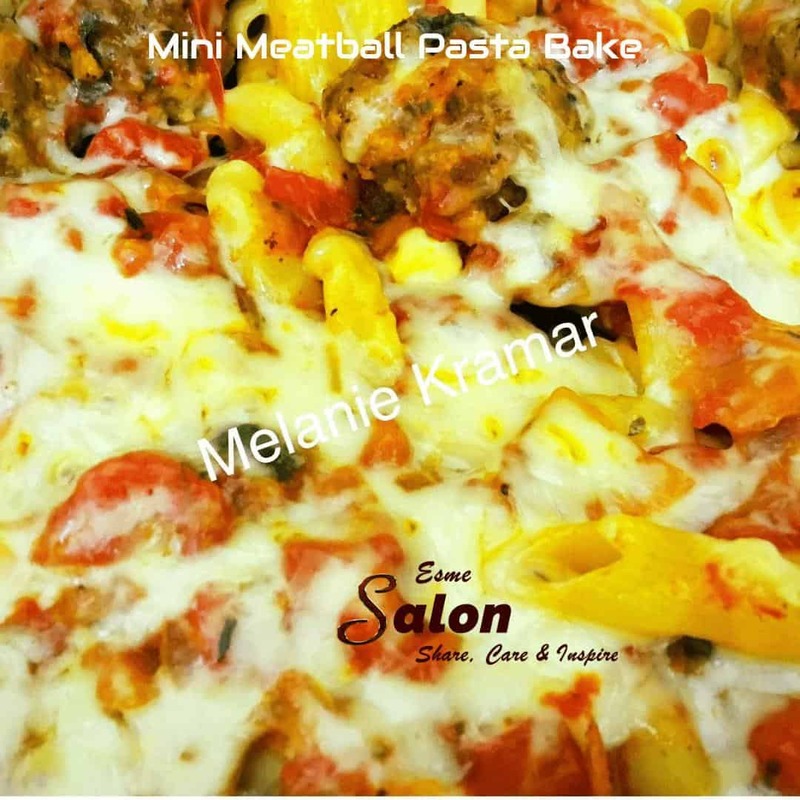 No doubt you will make your own favorite meatball/frikkadel/kebab if you do decide to try out the recipe which was darn good. Mix to combine and form mini meatballs. To brown the meatballs, heat some olive oil in a heavy pot or large skillet over medium-high heat. Add the meatballs in batches and cook, turning, until brown, 4 to 5 minutes per batch. Remove and drain on paper towels after each batch. Set the meatballs aside. For the sauce: In a separate skillet or pot, heat some olive oil. Add the garlic and onion and cook until translucent, a few minutes. Add the diced tomatoes, tomato paste, hot stock, oregano, basil and parsley, sugar and some salt and pepper. Add the meatballs and stir to combine. Cook over medium heat for 20 minutes. Set aside. For the layering: Meanwhile, bring a large pot of water to a boil. Cook the pasta to Al dente according to the package directions. Spoon some sauce (without meatballs) on the bottom of a 9-by-13-inch dish. Layer on half of the pasta, half the sauce and meatballs and then half the mozzarella cubes. Repeat the layers once more and top the dish with the grated Parmesan. Cover with foil and bake in a preheated oven at 180 °C for 30 minutes. Remove foil and bake another 10 minutes.